Dedicated to all who love the macabre. 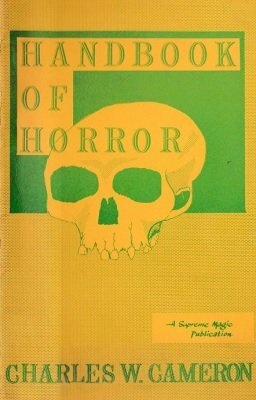 A handbook for modern sorcerers and necromancers, a devil's diary of spells and incantations, for those who like to dabble in the strange and uncanny. Handbook of Horror carries on the tradition of Witches' Brew but in a rather more horrific manner! 1st edition 1969, PDF 42 pages.